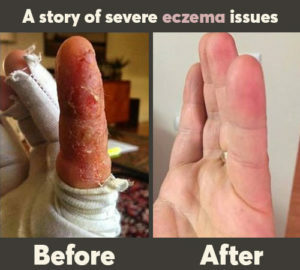 A Husband's Case of Severe Eczema - Oxford Biomedical Technologies, Inc.
“My husband struggled with eczema for years – it covered his hands and spread to other parts of his body, including his face. In addition to causing him constant physical pain and discomfort, emotionally it took a toll as well. Nothing that had worked in the past, worked anymore. He went to doctors including one of the countries “top skin specialists”. No one could help. We felt completely powerless and overwhelmed. We researched nutrition more and discovered the MRT test & LEAP protocol. “My husband had a friend who had worked with Lila Ojeda for Crohn’s disease and experienced a lot of success, so we reached out to her. Despite our living in Los Angeles, Lila was confident she could help my husband heal his skin, using the MRT test and LEAP Protocol. Lila was so bright, warm, friendly, and encouraging that for the first time in months, my husband felt a little hope. Within weeks of working with Lila my husband’s skin began to steadily improve. He began to regain a sense of control and his optimism increased. It’s been about five months now and his skin looks completely healthy and normal. 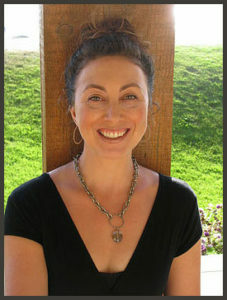 This amazing story is from a client of Lila Ojeda MS, RDN, CSCS, RYT, and Certified LEAP Therapist.